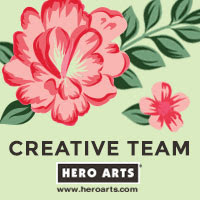 Hello there, I am back sharing my last Clearly Besotted teaser card before the BIG release tonight at 10pm. I will be sharing my usual release video this afternoon so stay tuned for that. In it, I will also be sharing a few other cards that I haven't already shared on my blog during the teasers. 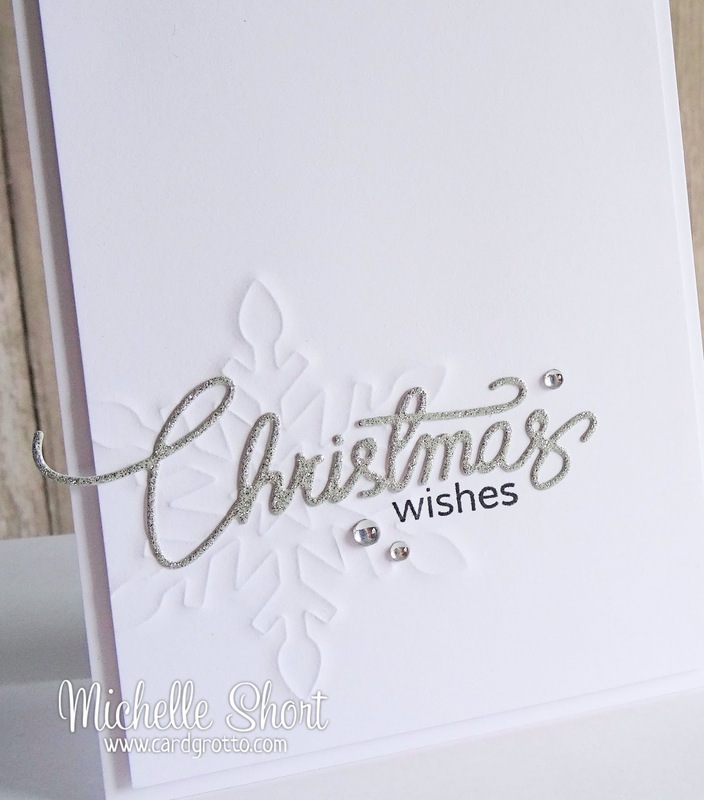 For todays card I am using two new standalone dies - Snowflake Trio and Merry Christmas. They are both stunningly beautiful so I had to combined them to make an elegant Christmas card. I first took the largest of the snowflakes dies and embossed it using my Cuttlebug on to a white cardstock panel. I have used the reverse of the panel for my card but both sides give beautiful results. 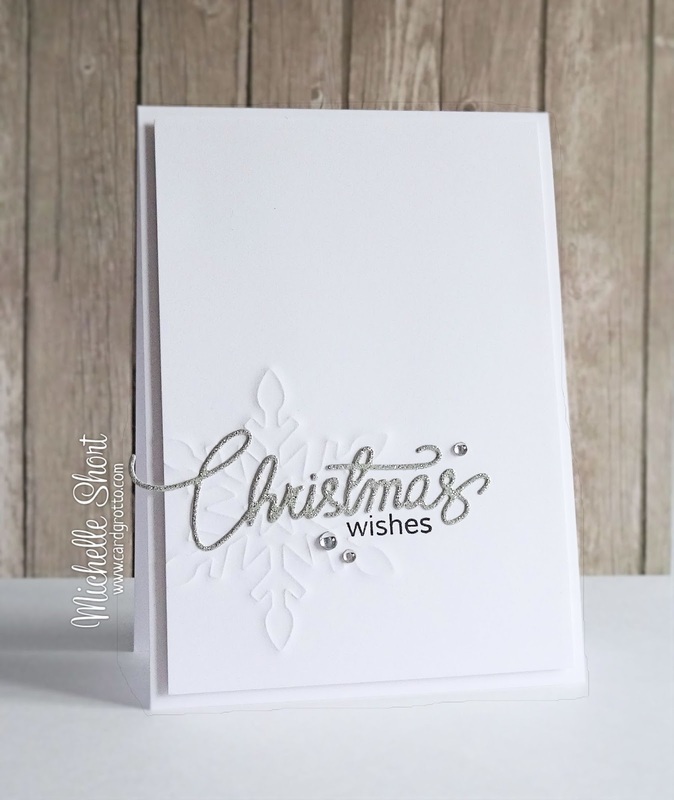 I then cut the Christmas part from the Merry Christmas die from silver glitter paper and added this on to the panel. I have stamped the 'wishes' sentiment from one of the sentiments in the Lovely Labels set in black ink below. I have finished off with a few gems and have adhered the panel with foam tape on to a card base. Beautifully elegant CAS design. That sentiment die is stunning. Wow! Michelle! This is ultra CAS, elegant, Chic and utterly gorgeous. I can't wait for your video later. Beautiful, clean and chic as always, Michelle! I lost my heart to that Christmas cursive die the first time I saw it. It looks perfect with little added, just as you did in your card. Elegant, classy and gorgeous! A stunning showcase of the new release! Wow - this is simply CAS perfection personified! Simply stunning! Just saw the full release and i think these two dies are my top favourites. 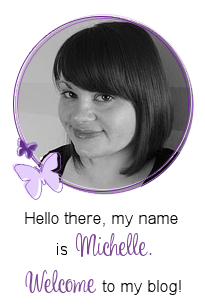 Hi Michelle, love the cards you've done - any chance of some more tutorials on You Tube? I really liked the 10 minute card challenge you did a while ago. What a simple and elegant card, love it . Wonderful card. Simple but elegant. Thanks for sharing.